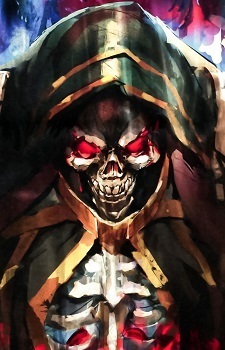 He is the guild master of Ainz Ooal Gown and regarded as the highest of the Almighty 41 Supreme Beings by the NPCs of the Great Tomb of Nazarick. He is also the creator of Pandora's Actor. A cautious and stingy person, Momonga always tries to plan and control details, avoiding any haphazard actions. Because he doesn't underestimate his opponents, he will usually overkill them. Since being transferred to a new world and becoming an actual Undead being, Momonga could feel himself becoming very cold and calculating, his emotions repressed. Loyal to his friends and creations, since becoming Lord ruler of Nazarick in the new world he acts with a certain degree of nobility for his devoted followers. Momonga only does things that will benefit Nazarick or himself, whether its information or prestige. Although he does have a sense of justice and doesn't hate humans as much as his followers, he holds no attachment to them, and he feels nothing toward their deaths. His real name is Satoru Suzuki.